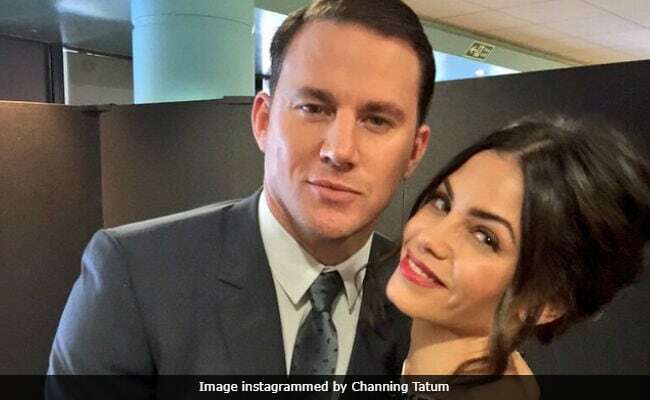 Actor Channing Tatum and his wife of nine years Jenna Dewan announced on Tuesday that they’ve “lovingly chosen to separate as a couple.” Channing Tatum and Jenna shared a joint statement on their respective social media accounts, in which they said it felt “odd” to share the news of their separation on social media but “it’s a time where truth can easily get distorted into ‘alternative facts’.” In their joint statement, Channing Tatum and Jenna said: “We fell deeply in love so many years ago and have had a magical journey together. Absolutely nothing has changed about how much we love one another, but love is a beautiful adventure that is taking us on different paths for now. There are no secrets nor salacious events at the root of our decision – just two best-friends realising it’s time to take some space and help each other live the most joyous, fulfilled lives as possible. Channing Tatum debuted in 2005 film Coach Carter but his breakthrough film arrived a year later – Step Up. He has featured in films such as the G.I. Joeseries, Foxcatcher, The Hateful Eight and Kingsman: The Golden Circle. Grudge 2, American Virgin and Setup are among Jenna Dewan’s notable films. She has also featured in television shows such as American Horror Story and Witches of East End.